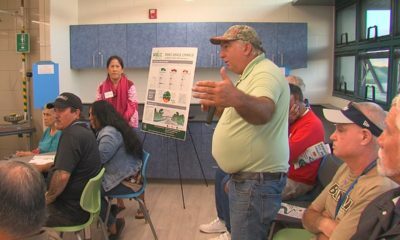 HAWAII ISLAND - Through hurricanes, lava flows, and dengue fever... Chief Darryl Oliveira has helped the Big Island community get through one declared disaster after another. Video by Dave Corrigan, voice of Sherry Bracken. HILO, Hawaii – Hawaii County Civil Defense administrator Darryl Oliveira has had his last day on the job. As of May 1st, Oliveira heads back into retirement. For the second time. Before he took the reigns as the head of the county’s emergency management, Oliveira was chief of the Hawaii County Fire Department. He retired from that position in August 2011. But it didn’t last long. Mayor Billy Kenoi named Oliveira the Civil Defense administrator just a few years later. Oliveira was at the helm during a remarkably busy time for Hawaii Island. Hurricanes, lava flows, and even an outbreak of dengue fever. The video above chronicles how Oliveira helped the island community get through one ordeal after another. When the Big Island faced disaster, Oliveira’s reassuring voice saturated the airwaves – and our website – offsetting fears with the calm sharing of information and careful planning. 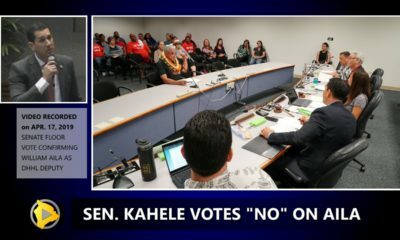 Right person at the right time for the right job—Mahalo nui loa, Darryl Oliveira! 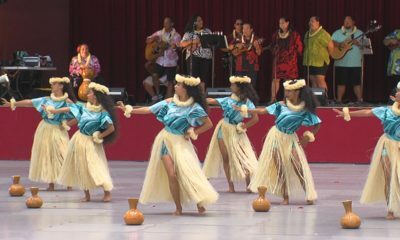 The Island of Hawai‘i has recently lived up to its worldwide reputation as a beautiful and dynamic place that is frequently vulnerable to many natural hazards. These include hurricanes, earthquakes, tsunamis, floods, and wildfires, as well as eruptions that can send lava flows through communities and create widespread volcanic air pollution. For the Administrator and staff of Hawai‘i County Civil Defense (CD), this list of potential hazards can be daunting. In each instance, they coordinate the County’s emergency preparedness and response programs to ensure quick, appropriate, and effective action for public safety. Add to this list the consequences of invasive species that affect public health—for example, the two species of mosquitoes (Aedes aegypti and Aedes albopictus) responsible for spreading dengue fever—and it’s evident why the CD team has been running full steam, and practically nonstop, on behalf of the public in recent years. This past week was Darryl Oliveira’s last as the Administrator of Hawai‘i County CD, a position he has held since early 2013. He retires effective May 1, 2016. Given the pace and intensity of natural events affecting the Island of Hawai‘i since taking the CD leadership job, Darryl’s resilience and emphasis on community collaboration and preparedness clearly demonstrate that he was the right person at the right time for our island community. On Hawai‘i Island’s two most active volcanoes, Kīlauea and Mauna Loa, changes in activity are the norm. 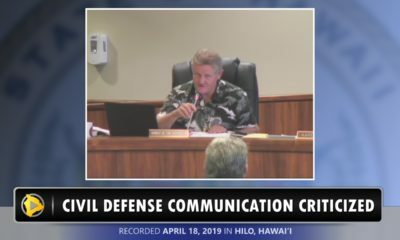 This means that response planning and coordination by Hawaii County CD are never far around the corner, even when things look relatively quiet and steady. When Darryl assumed leadership of CD in January 2013, lava erupted from the Puʻu ʻŌʻō vent was spilling down Kīlauea’s flank and being carried through a lava tube southward to the ocean, a distance of about 14 km (8.7 miles). With no homes in immediate danger, the volcanic activity was not too great a concern for CD. But then Pu‘u ‘Ō‘ō began to change. Within two weeks of Darryl stepping into his new job, USGS Hawaiian Volcano Observatory (HVO) geologists noted increased activity within the Puʻu ʻŌʻō crater, describing it as more vigorous than during the previous year. An overflow of the small lava pond on the northeast rim of the crater sent a fast-moving, but small, flow down the flank of the Pu‘u ‘Ō‘ō cone in a northerly direction. This and subsequent flows became known as the Kahauale‘a I and II flows, which were cause for concern at the time, as they were spreading on the north side of Kīlauea’s East Rift Zone. 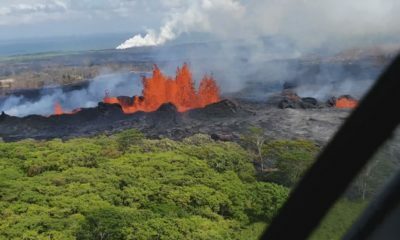 This meant that lava flows could eventually reach Puna District communities. In response to this change, Darryl, his CD staff, and HVO scientists communicated regularly through 2013 and early 2014 about the hazards posed by the flow. The possibility of lava impacting communities became real in August 2014, when a new flow, informally called the June 27th flow, traveled faster and farther to the east from Pu‘u ‘Ō‘ō and into a series of deep ground cracks along the crest of Kīlauea’s East Rift Zone. 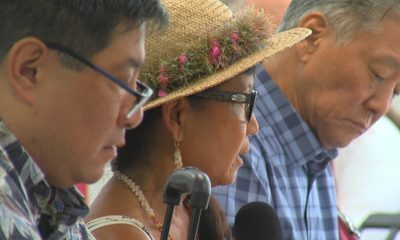 As soon as it became clear that the June 27th flow could potentially move through Puna communities and cross Highway 130, the Hawai‘i County Mayor’s office quickly organized the first of nearly two dozen public meetings held between August 2014 and March 2015. These well-attended meetings became a popular forum for Darryl and his CD staff, other County leaders, and HVO scientists to discuss the flow’s progress, potential impacts, and evolving response plans with Puna residents and businesses, as well as with the Red Cross and other emergency responders, non-government agencies, media, and elected officials.